2018 World Public Relations Forum held in April spoke of truth, profit, and intelligence! Global Alliance announced the 2018 World Public Relations Forum back in 2016 and began the bidding process since then. With bids received from 3 continents, the Global Alliance board chose Oslo as their destination. The 2018 WPRF was finally held between 22 and 24 April with the Norwegian Communication Association (NCA) acting as the host. The hosts of this year’s World Public Relations Forum were Eirik Bergesen and Guri Solberg. Eirik Bergesen, a political commentator, appearing on Norwegian TV2, held a diplomat office with the Cabinet of Foreign Minister, Embassy in Washington, and EU Delegation in Brussels. He also writes on the satire site Opplysningskontoret and hosts All Makt, a monthly political satire show. Guri Solberg, a TV program director, has previously worked on shows like Dancing with the stars, X Factor, Idol, and Absolute Entertainment. Before moving to TV2 in 2004, she had a prominent career in Norwegian Broadcasting Corporation (NRK). Global Alliance put forward three themes in this year’s WPRF – truth, profit, and intelligence. Under the truth theme, key speakers addressed the spread of fake news and their impact on democracy. Statistics and polls used for defining reality was another key element of this theme. The profit theme centred around businesses; it confronted various aspects that are emerging to make processes and media relations simpler. It talked about new technologies that are thinning the lines between different practices to communicators showcasing their worth in impacting a business. Other discussions under this theme included how companies can make profits as well as contribute in a healthy future, and whether good reputation equals more revenue or not. Intelligence discussed the different opportunities it possessed – whether humans will be replaced by artificial intelligence and how they can work together to influence communications. Also, discussions were on what humans need to know to go forward with technology. 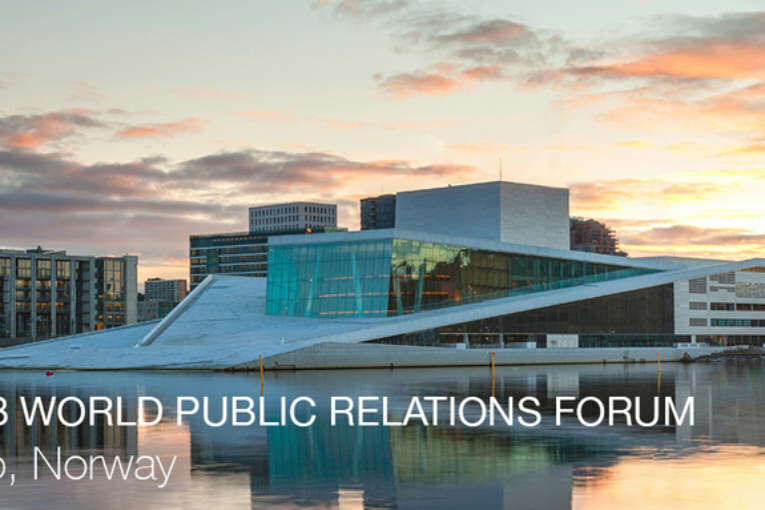 2018 World Public Relations Forum had Fredrik Hoyer, Morten Traavik, Anna Rosling Rönnlund, Elin Hauge, Kristin Skogen Lund, and others as the key speakers. Each of them shed more light on social justice, communications in China, behavioural economics, the art of transposition, emerging technologies, enhanced media relations and many others. Previous : How does digital marketing become a necessity for fitness brands?